Yes, she is slightly different, but if you want to see more bonkers kids and parents, pop over to Mammasaurus. I’m sure she’s got some gems for you again! Previous Post: « Don’t ask me what I want for Christmas! Do you want a longer shelf life? i know we need to make cut backs mum! but do i really have to sleep on a shelf? 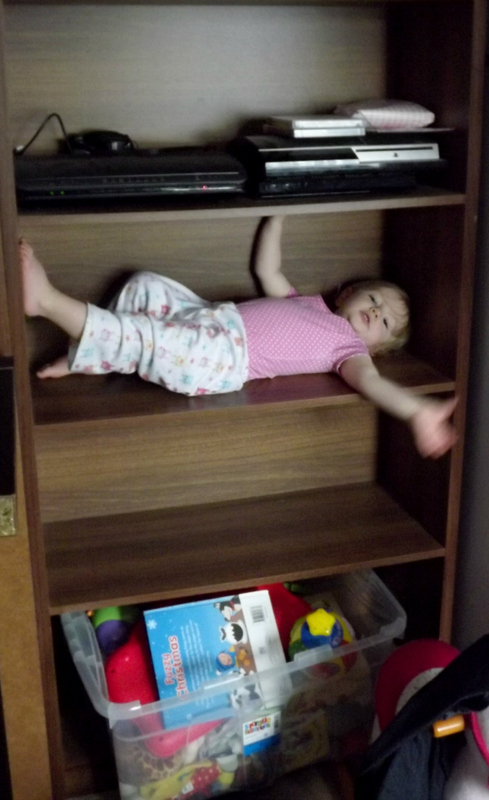 Mummy was so tired she didn't realise she had put the baby on the shelf and the CD's in the cot.. They are building homes so much smaller nowadays. Mummy got a bit over enthusiastic about her tidying up. Mum will never find me in here…..quick shut the door!